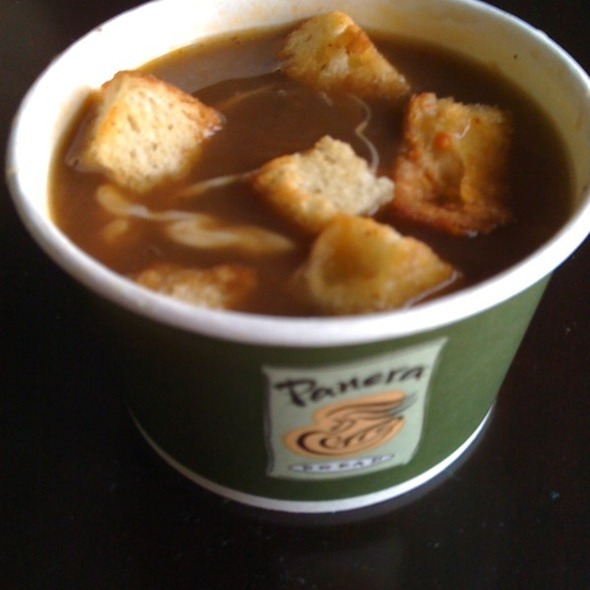 Onions and croutons and cheese…oh, my. 1. Melt butter in a large saucepan over medium heat. When the butter is melted, add sliced onions and saute for 15 to 20 minutes, stirring often, until onions turn brown. 2. Add remaining ingredients (but not the garnish) to the pan and stir to combine. Heat soup until it’s boiling, then reduce heat and simmer uncovered for 20 minutes. 3. Make croutons for the top of the soup by slicing foccacia bread (or any bread you may have) into 3/4-inch thick slices. Butter both sides of those slices, then cut the slices into bite-size cubes. Bake the bread in a 425 degree oven for 15 minutes or until crispy. Shave some asiago cheese by simply dragging a potato peeler over the edge of a wedge of asiago. 4. Serve the soup super hot with a handful of croutons floating on top followed by a couple tablespoons of shaved asiago cheese.